Kitchens are designed for everyday life. The heart of any house or apartment. Whether it is for the families breakfast, a family meal or a family and friends for a meal, night to remember, parties or fine dining. The kitchen sink is needed for preparing, cooking and clearing up. As well as a great design. A good investment is one that is designed with you in mind. 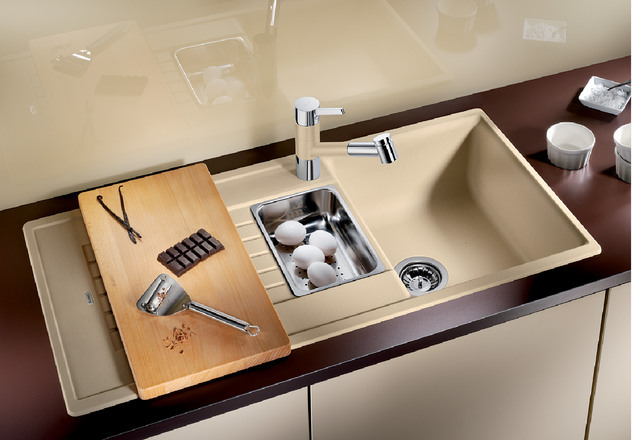 Chefs sinks come in a wide variety of shapes and sizes, giving you lots of styles for your kitchen. Blanco Divon II 8 S-IF. Blanco Divon II 8 S-IF. 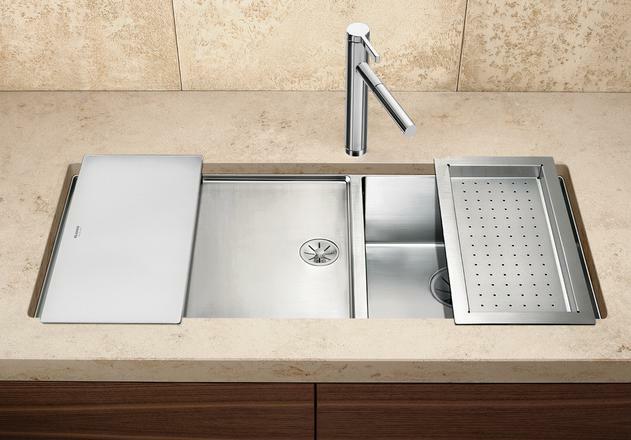 Stainless steel sink elegantly designed sink creates the space that is needed to prepare. As you can see it features large bowls to minimum usage. There is an add-on of a cutting board that can be purchased along with the multifunctional colander. 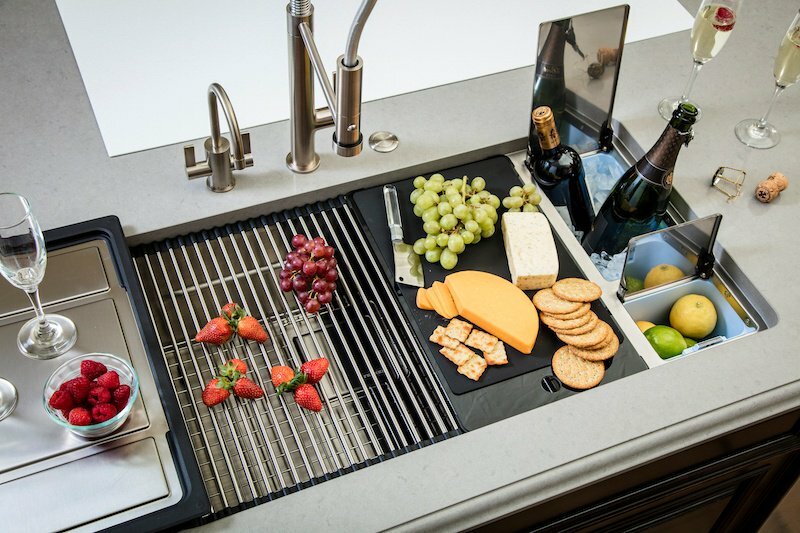 This sink will improve the way you use your kitchen but always one step ahead. Designed to make your cooking and preparing quicker and easier. Blanco Claron 400/550 T-U stainless steel sink. Blanco Claron 400/550 T-U stainless steel sink. Designed with function. 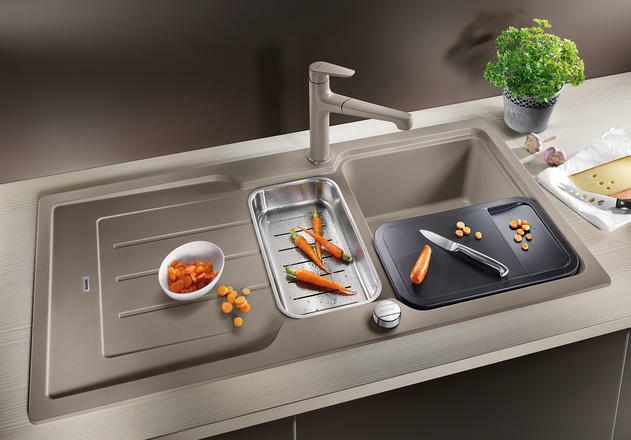 Maximum the design by extra deep bowls, this sink has more options than the Divon. There are three different sizes to the chopping boards, a wooden chopping board, a 240mm cutting board or a 200mm cutting board with an option for a colander as well. The wide product ranges can create individual combinations. Blaco Zia 6 S. The clear straight line guides any liquid into the sink, making the preparing stage a breeze. There are lots of different options for this sink. A wooden chopping board, crockery basket & stack, multifunctional colander, and multifunctional wire baskets. 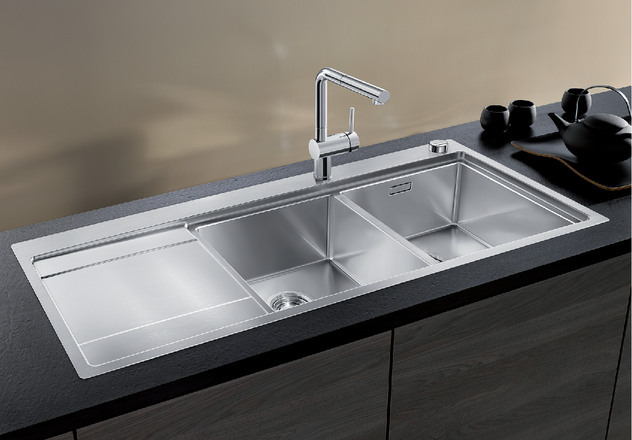 Black classic Neo 6 s.
Black classic Neo 6 s. Truly a new generation of sinks with touches of ergonomic design. As you can see in the picture above. The kitchen sink in action. Using all the sink space but creating usage for preparing. A very functional sink. If you have any question please contact us for more details.